Gerry, was born into a family of dancers, singers and musicians in the town of Dundalk, County Louth and taught by his mother, Rose. It's no wonder that he won many All-Ireland titles in the years 1967 to 1973. 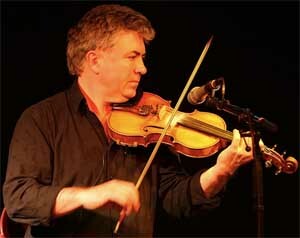 His step dancing and connection to the playing of the Sligo masters via John Joe Gardener ensured the vibrancy of his playing and he is regarded as one of the great fiddlers of his generation. Gerry's achievments are too numerous to summarise here so for more information you can visit the Gerry O'Connor website.